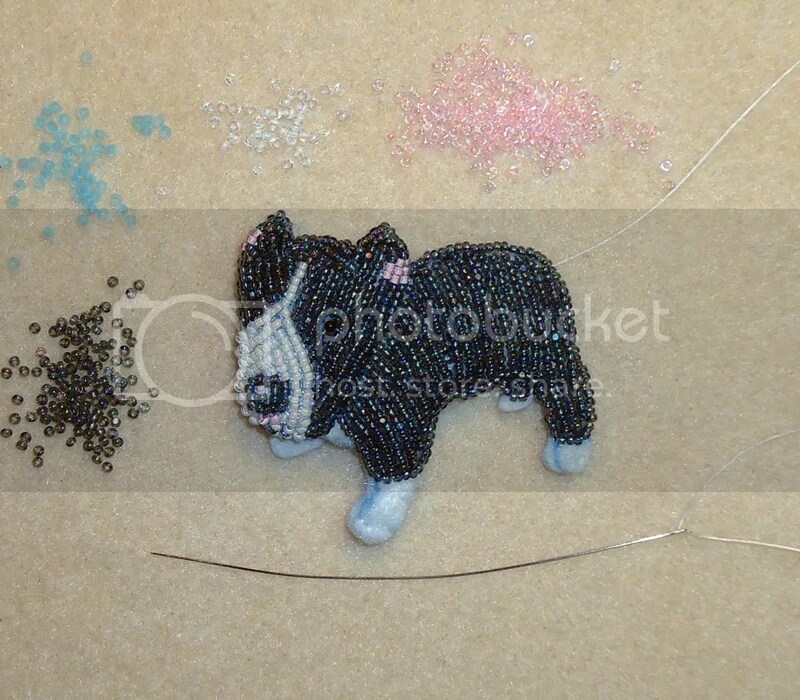 Last week, I received a new custom order for a beaded Pitbull pin. 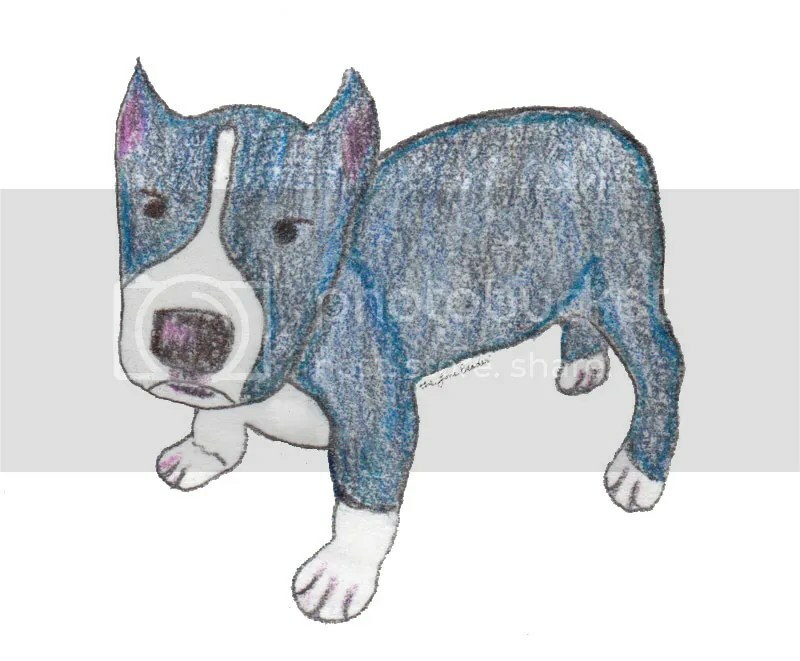 I was excited about making one since this one was a Blue Nose Pitbull. After deciding on a photo to use, I worked on a drawing. 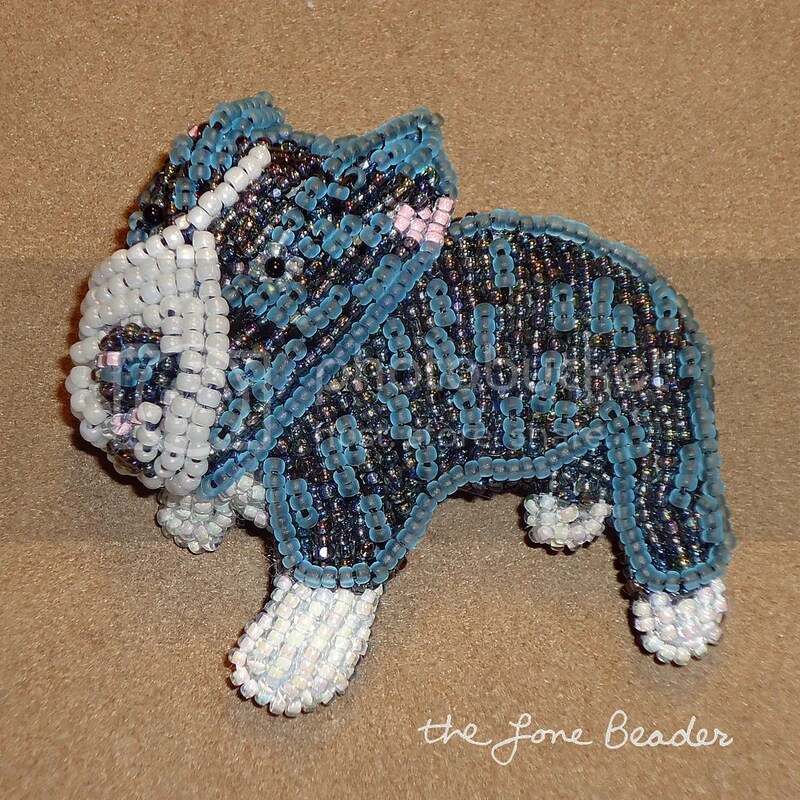 As you can see the perspective of this dog is much different than my other beaded dogs.. Using my drawing as a template, I cut out several layers of felt and stitched them together. First, I stitched gray 13/o charlottes and white 15/o seed beads. I really like this color, but I wanted to incorporate some blue. So, after finishing the first layer of beadwork, I layered transparent matte blue seed beads over the gray. This piece is heavily beaded now!